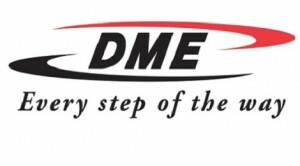 Madison Heights, Mich. — DME Company, a leading provider of mold technologies to the plastics processing industry, announced today that its maintenance, repair and operations (MRO) supply business will now be known as DME Industrial Supplies. The re-branding effort reflects the company’s recognition that its product catalog has many untapped applications in markets outside of plastics molding. In the precision machining market, for example, DME’s MRO product profile includes safety and shop supplies and Slide products, among others.DME Industrial Supplies will continue to offer the highest quality products from its portfolio of brands – including Nickerson, Northern Supply and OHS. It also will continue to offer unsurpassed sourcing power and deep inventory – all at great prices, faster than ever before.“Our purchasing team works diligently every day to find the best sources at competitive prices, creating a full catalog of complementary products that are in demand with today’s manufacturers,” said Jim Hunt, DME’s MRO manager. “We’re excited to have all of these products under one roof.”Customers can continue to visit DME Industrial Supplies’ online catalog and order components 24 hours a day by visiting www.dme.net.